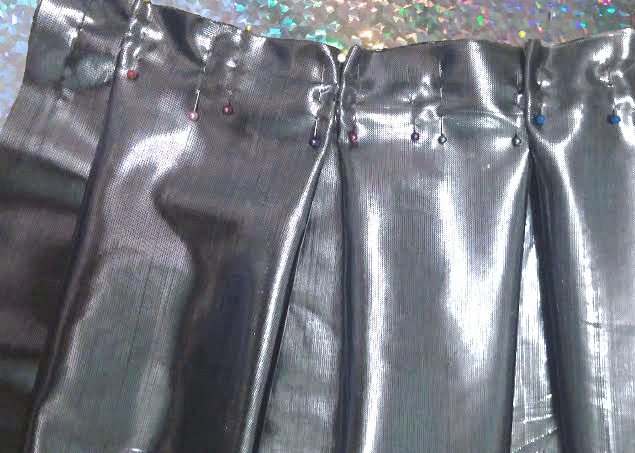 Pleats, pleats, pleats and more pleats! 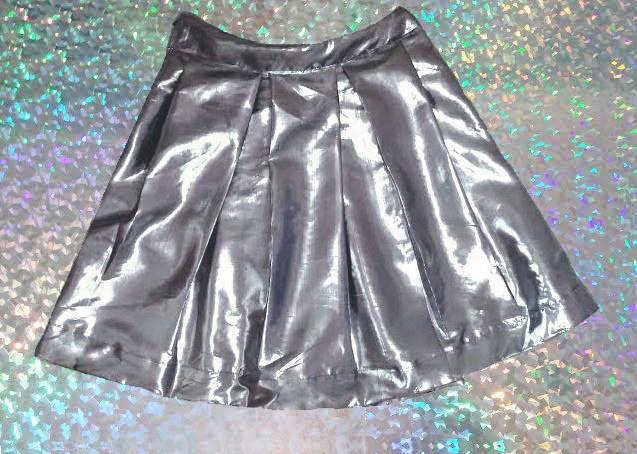 Shiny and metallic box pleated skirt with a yoke waistband. 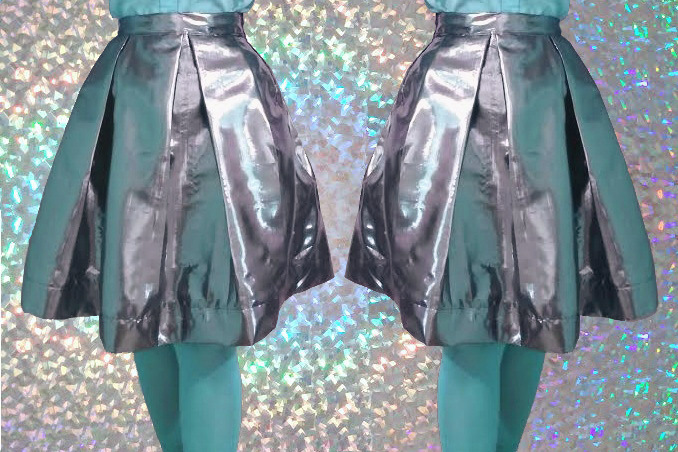 Pleated skirt with metallic fabric is such an outstanding idea! It couldn't really get cooler than that! It looks so dreamy on you, especially with those tights! You should wear it with your DIY lip balm! This is so cool! Yeah, I definitely will!! Thank you! This is SO CUTE!!! When I get more free time I will definitely have a go at making one!